In many ways, it’s been a summer of unease and quiet discontent at Manchester United. You get the sense that, understandably, there is still a major hangover from Sir Alex Ferguson’s retirement, a man who won 38 trophies over an unprecedented 26 year stay as manager. New manager David Moyes is the man faced with the task of continuing his fellow Scot’s success while stamping his own authority on proceedings. His first step in doing so raised a few eyebrows, bringing in his own trusted backroom staff of Steve Round and Jimmy Lumsden at the expense of longtime stalwarts of Ferguson, Mike Phelan and Rene Meulensteen, two men who have curiously called Moyes’ management credentials into question publicly over the last few days. Together with mixed results in preseason, a lack of movement in the transfer market and no resolution to the Wayne Rooney saga on the horizon, many United fans could be forgiven for worrying about the year ahead. However, Moyes’ first two competitive games in charge have both resulted in wins, the latest an impressive 4-1 away at Swansea on the opening day of the season. Interestingly, many seem to forget that this is a squad who all but had the League wrapped up in early March last year, boasting arguably the League’s best player and certainly its best finisher in Robin van Persie (above). Thus, results such as the one at Swansea should not come as much of a surprise as it seemed to do last weekend. Many commented on United’s lack of possession and their gifting of too many chances but as with Ferguson on so many occasions, United ultimately left with the 3 points. Next up for David Moyes is a heavyweight clash with Jose Mourinho’s new look Chelsea in what will be the Scotsman’s first competitive game in the home dugout at Old Trafford. 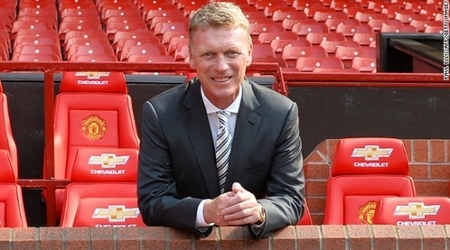 Despite its occurrence at a very early stage in the season, this is the perfect fixture for Moyes. With many fans unsure as to what the future brings, a win over a man many deemed as favourite to take over from Ferguson would do wonders not only for the supports belief but also for Moyes’ own belief in his ability to take the club into the future with his own vision. A defeat, on the other hand, would further increase the pressure and emphasise the “need” to bring new players in, particularly in midfield where they’ve thus far failed to land targets such as Cesc Fabregas and Marouane Fellaini. With fixtures against Liverpool and Manchester City to come within the next month, a win over Chelsea is a must to gain momentum and keep everyone onside. However, Mourinho’s men come into the game with two wins from two knowing that a win will send them six points clear of United, which even at this early stage can have an effect psychologically. Although very early to tell, Mourinho (above) seems to be placing a lot of faith in young players, even those of which didn’t receive much of a chance in previous regimes such as Kevin de Bruyne and Romelu Lukaku as well as maintaining the tried and trusted spine of the side in Petr Cech, John Terry and Frank Lampard. Although blessed with a multitude of world class attacking midfielders in Eden Hazard, Juan Mata and Oscar (a list that will most likely include the Brazilian Willian by the end of the transfer window), one has to worry for Chelsea’s firepower up front. Lukaku, while undoubtedly promising, is still quite raw and inexperienced at the very highest level and while a year in the side will do the Belgian the world of good, it would be unfair to place hopes for a League title on such young shoulders. Also,while one can argue the merits and strengths of Demba Ba and Fernando Torres (below) until they’re blue in the face, the simple fact of the matter is that neither are good enough to fire Chelsea to the Premier League title in the way Didier Drogba did on three occasions. Hence why Mourinho has spent most of the summer trying to court United’s Wayne Rooney into moving to Stamford Bridge, an element that adds even more spice to an already mouthwatering early season clash. Having been overlooked to succeed the great Sir Alex Ferguson at Old Trafford, one has to think that Mourinho also has a point to prove on Monday night and will look to strike an early blow to the new era at Old Trafford. While many will say that the title can never be won this early in the season, a loss here could certainly go a long towards losing it. David Moyes will know this and come tomorrow evening, the Special One leaving Old Trafford with the three points will simply not be an option for United’s new manager. Reblogged this on Get Sportified. Thanks for the reblog, much appreciated! Really looking forward to this match, should be a cracker! I’m predicting a score draw. It really should be! Finally someone who is going for a draw! It’s a tough one to call, but the real difference between the two at the moment, in my opinion, is Robin Van Persie. Either way it’s a massive game, early chance for a big psychological edge. Oh dear. I think the title of this article summed up the attitude of both managers tonight. Mourinho starting no strikers meant the game was never going to get stretched. 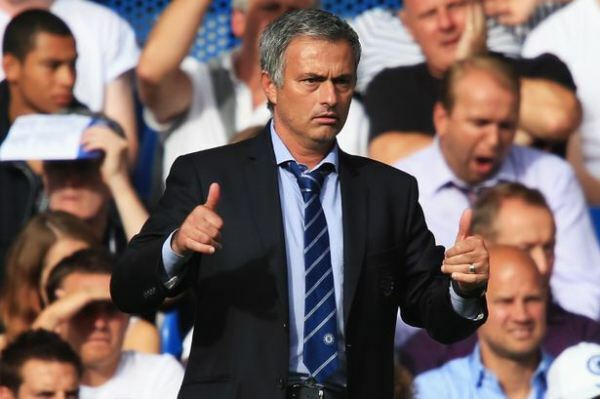 It’s amazing how people have forgotten how dull Mourinho’s Chelsea were to watch the first time around. The way they shut up shop against Hull might just have set the marker down for the season. Interesting to see how it unfolds from here!